The method brings you and your body down to the granular, a microscopic level of detail to experience a small movement and notice how our bodies do or don’t move. I went to Lotus Yoga in Columbia City to experience Feldenkrais. 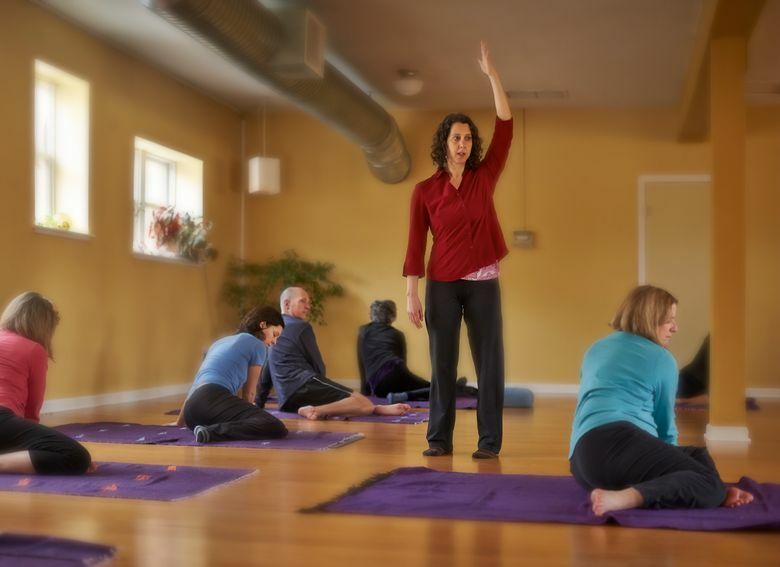 Teacher Sheri Cohen explained Feldenkrais works on the nervous system and rewires your neuromuscular connections for a deeper shift. If she’s injured, she turns to Feldenkrais. I was intrigued. We set up with mats and blankets. Sheri started us standing, asking us to notice if the right or left side of our body felt longer than the other. We walked around the room, paying attention to our gait and whether the same side of our body felt longer. I had been experiencing pain in my right shoulder from an old injury, and I noticed it felt heavier on that side. We moved to our mats and laid down. We lifted one arm toward the ceiling and played with lifting it up, then setting it back down. She asked us to notice our hand position and told us to relax. We moved our arm in small increments, swaying side to side until we could feel the plumb line of gravity where our arm was stable. We brought our arm back to the mat, and Sheri asked if we paid attention to how we moved our arm down to the floor. I had not. The next time, I moved slower. We lifted our right arm again, and did the same routine of plumb line and lifting it to the ceiling. I had never spent so much time before focused on my arm. Next, we propped one foot up on the floor and pressed down to lift our pelvis on one side. We lifted our arm. We rolled our head slowly side to side. Sheri asked if we could move through the resistance, to notice if we rolled our head only in one direction when we lifted our pelvis or shoulder and to try the other way. We switched to the left side, moving through our arm and pelvis, then played with lifting the other arm. She kept encouraging us to explore. At times, we moved so slowly, I needed laser-sharp focus to stay alert. After class, Sheri said her intention was to notice if we merely move our arm or if we move it from the shoulder girdle. She also wanted us to see if we consistently turn our head one direction when we move our shoulder and if so, practice going the other way. By focusing on these small movements, we can see patterns in the way we move and rewire our brain to move in new directions, she explained. The experience was soft and restorative. I appreciated the approach and was happy I didn’t feel much resistance in my injured shoulder. Every class varies, she said. Feldenkrais is not strength oriented, and that’s a good thing. It requires concentration and listening to the body in a different way than I have worked before. I appreciated the quiet, intuitive approach to listening to my body. It’s a healthy one to take on. Nicole Tsong teaches yoga at studios around Seattle. Read her blog at papercraneyoga.com. Email: papercraneyoga@gmail.com. Benjamin Benschneider is a Pacific NW magazine staff photographer.